Este artículo aborda las formas en que las culturas de las instituciones y los patrones de interacción social ejercen un efecto formativo en el qué y cómo del aprendizaje. El modo en que se regulan las relaciones sociales de las instituciones tienen consecuencias cognitivas y afectivas para aquellos que viven y trabajan dentro de las mismas. El actual estado del arte en las ciencias sociales se esfuerza por proporcionar una conexión teórica entre formas específicas,o modalidades, de regulación institucional y de la consciencia. Los intentos que se han llevado a cabo para hacerlo tienden a la incapacidad de generar análisis y descripciones de formaciones institucionales que sean predictivos de consecuencias para los individuos. Al mismo tiempo, la política social tiende a no comprometerse con las consecuencias personales de las diferentes formas de regulación institucional. Se discutirá un enfoque con el fin de establecer conexiones entre los principios de la regulación de las instituciones, las prácticas discursivas y de la formación de la consciencia. Este enfoque se basa en el trabajo del sociólogo británico, Basil Bernstein y el teórico social ruso Lev Vygotsky. Atkinson, P. (1985). Language, structure, and reproduction: An introduction to the sociology of Basil Bernstein. London, UK: Methuen. Bakhtin, M.M. (1986). The problem of speech genres (V.W. McGee, Trans.). In C. Emerson & M. Holquist (Eds. ), Speech genres and other late essays (Series 8, pp. 60-102). Austin, Texas: University of Texas Press. (Reprinted from Éstetika slogesnovo tvorchestva, pp. 192-198, by M.M. Bakhtin, Ed., 1986, Moscow, Russia: Iskusstvo). Bernstein, B. (1964, November, 27). Letter to Vygotsky’s Widow, Mimeo. Bernstein, B. (1990). The structuring of pedagogic discourse: class, codes and control (Vol. 4). London, UK: Routledge. Bernstein, B. (1993). Foreword. In H. Daniels (Ed. ), Charting the Agenda: educational activity after Vygotsky (pp. 13-23). London, UK: Routledge. Bernstein, B. (1996). Pedagogy symbolic control and identity: Theory, research, criticism. London, UK: Falmer Press. Bernstein, B. (2000). Pedagogy symbolic control and identity: Theory, research, criticism (Rev. ed.). London: Falmer Press. Daniels, H. (2001). Vygotsky and Pedagogy. London, UK: Routledge. Diaz, M (2001). The importance of Basil Bernstein. In S. Power, P. Aggleton, J. Brannen, A. Brown, L. Chisholm, L., & J. Mace (Eds. ), A tribute to Basil Bernstein 1924-2000 (pp. 114-116). London, UK: Institute of Education, University of London. Engeström, Y. (1987). Learning by expanding: An activity-theoretical approach to develop- mental research. Helsinki, Finland: Orienta-Konsultit Oy Publisher. Engeström, Y. (1999a). Activity theory and individual and social transformation. In Y. Engeström, R. Miettinen, & R.-L. Punamäki (Eds. ), Perspectives on activity theory (pp. 19-38). Cambridge, UK: Cambridge University Press. Engeström, Y. (1999b). Innovative learning in work teams: Analyzing the cycles of knowledge creation in practice. In Y. Engeström, R. Miettinen, & R.-L. Punamäki (Eds. ), Perspectives on activity theory (pp. 377-404). Cambridge, UK: Cambridge University Press. Engeström, Y. & Sannino, A. (2010). Studies of expansive learning: Foundations, find- ings and future challenges. 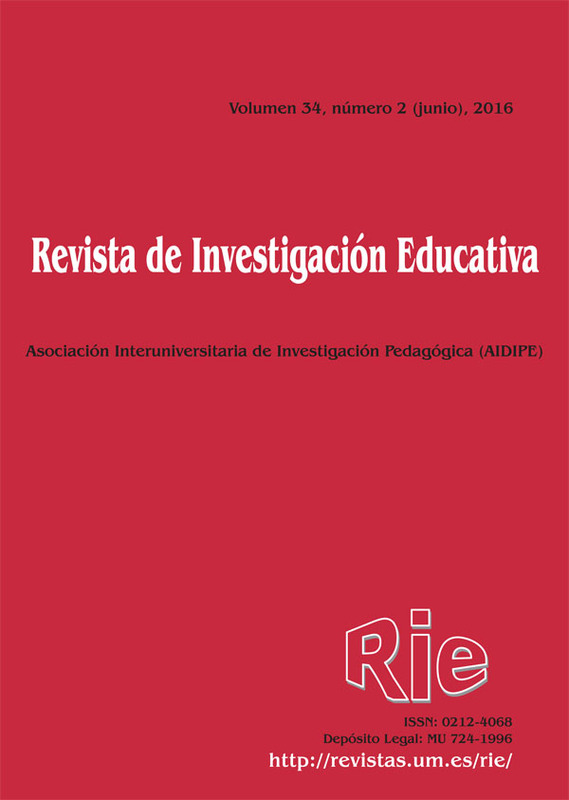 Educational Research Review, 5(1), 1-24. http://doi:10.1016/j.edurev.2009.12.002. Hasan, R. (2005). Semiotic mediation, language and society: Three exotripic theories-Vygotsky, Halliday and Bernstein. In J. Webster (Ed. ), Language, society and con- sciousness: Ruqaiya Hasan (Vol. 1, pp. 55-80). London, UK: Equinox. Hasan, R. & Cloran, C. (1990). A sociolinguistic study of everyday talk between mothers and children. In M.A.K. Halliday, J. Gibbons, & H. Nicholas (Eds. ), Learning keeping and using language (Vol. 1, pp. 104-131). Amsterdam, Netherlands: John Benjamins. Holland, D., Lachiotte, L., Skinner, D., & Cain, C. (1998). Identity and agency in cultural worlds. Cambridge, Massachusets, USA. : Harvard University Press. Ivanov, V.V. (1971). Commentary. In L.S. Vigotsky (Ed. ), The psychology of art (pp. 265- 295). Cambridge, Massachusetts. USA: MIT Press. Leont’ev, A. N. (1978) Activity, consciousness and personality. Englewood Cliffs, New Jersey, USA: Prentice Hall. Vygotsky, L.S. (1978) Mind in society: The development of higher psychological processes (M. Cole, V. John-Steiner, S. Scribner, & E. Souberman, Trans.). Cambridge, Mas- sachusets, USA: Harvard University Press. (Reprinted from Разум в обществе, by L.S. Vygotsky, Ed., [ca. 1930-1934], Russia). Vygotsky, L.S. (1981). The genesis of higher mental functions (J.V. Wertsch, Trans.). In J.V. Wertsch (Ed. ), The concept of activity in soviet psychology (pp. 144-188). Armonk: M E Sharp. (Reprinted from Razvitie vysshikh psikhicheskikh funktsii, by L.S. Vigotsky, L.S., Ed., 1960, Moscow, Russia). Vygotsky, L.S. (1987). Thinking and speech (N. Minick, Trans.). In R.W. Rieber, A.S. Carton, & N. Minick (Eds. ), The collected works of L.S. Vygotsky: Problems of general psychology (Vol. 1). New York, USA: Plenum Press. (Reprinted from Sobranie sochine- nii, by L.S. Vygotsky, Ed., 1982, Moscow, Russia: Aksenov). Wertsch, J.V. (2007). Mediation. In H. Daniels, M. Cole, & J.V. Wertsch (Eds. ), The Cambridge Companion to Vygotsky (pp. 178-193). New York, USA: Cambridge University Press.